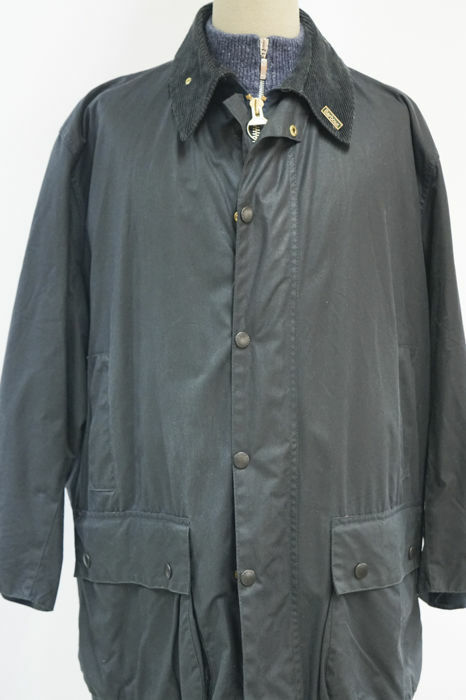 Offered in new condition: this wax coat by the British fashion brand Barbour. 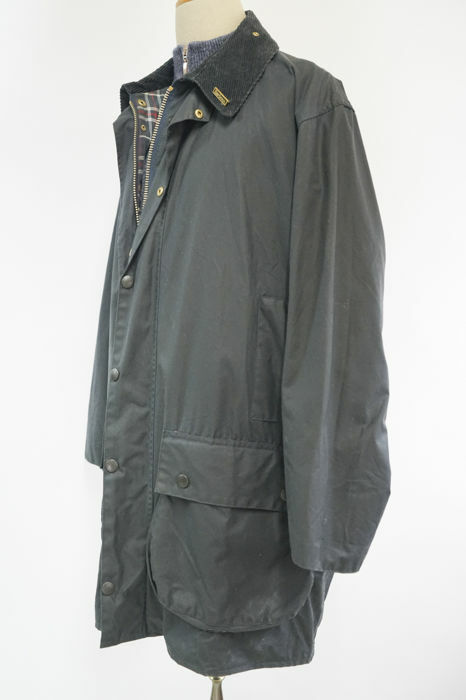 Model is A205 'Border Jacket'. Colour is dark blue. 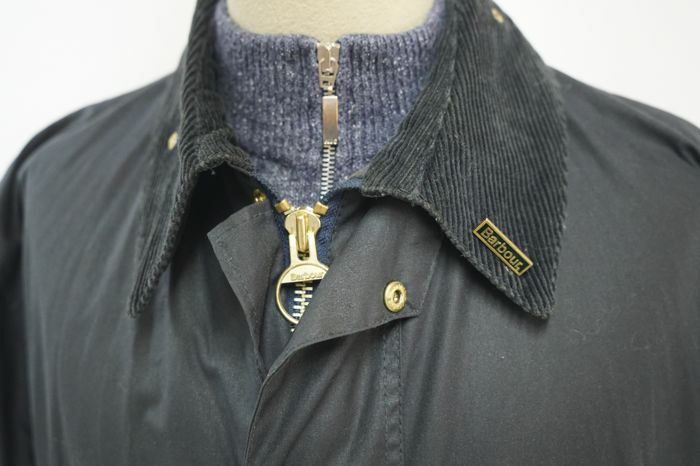 Material is 85% cotton. 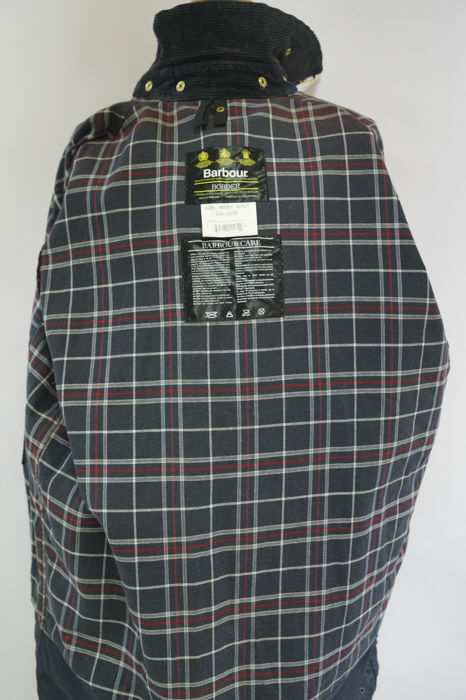 It has Barbour Tartan lining. 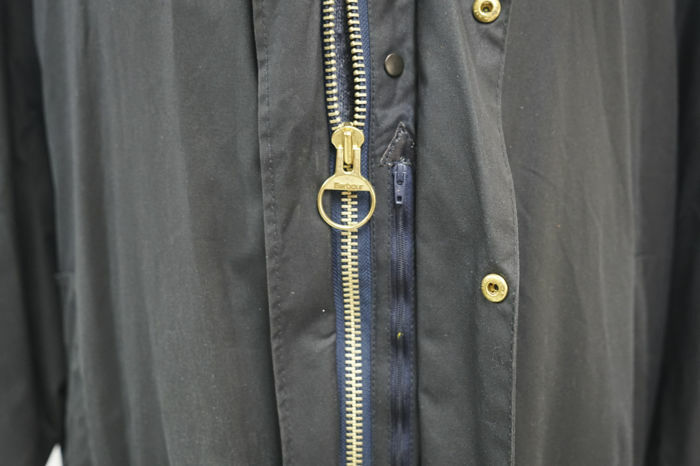 Coat has many pockets (please see photos). 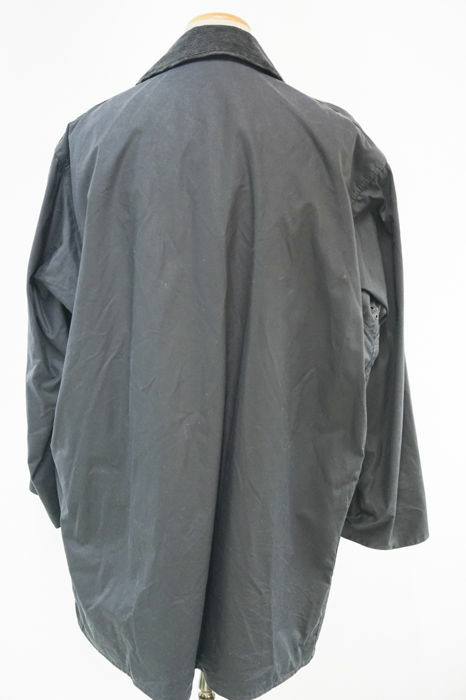 Coat is wind and water proof. 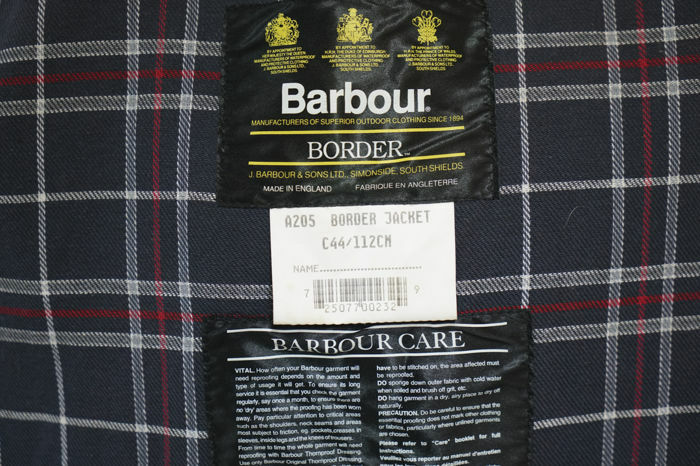 Size is Barbour C44 - 112 cm (Chest), which corresponds to an EU size 60. Sizes measured flat on the table: shoulder width 58 cm, armpit width 68 cm, sleeve length 63 cm, and total length 95 cm. 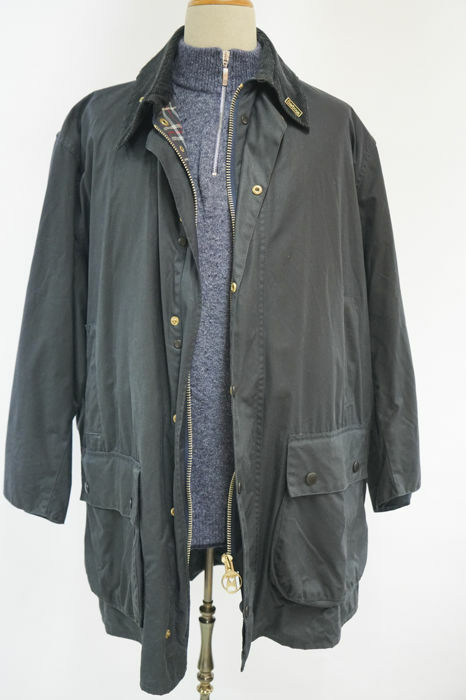 Coat has been hardly worn! Always shipped with Track & Trace. 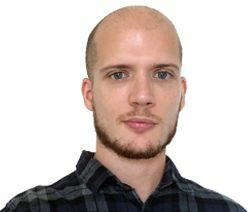 Within the Netherlands by PostNL and within Europe by GLS.